Honour is a Biblical principle. God's Word is quite specific concerning our need to honour one another both as individuals and as communities. We are to honour people in positions of authority and responsibility over us including parents. Teachers, social and local leaders, government representatives, authorities, police and so on. The purpose of this book is to bring awareness and a return to the principle of honour. God has principles we are to live by - honour being among the most prevalent - if we wish to have a full, satisfying and significant life. So, are you a person of honour? Would you like to be? Become honour bound in your life as you understand the inner workings and purpose of honour. 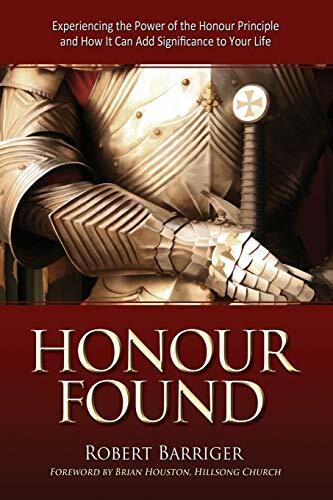 No matter where you are now, whether you already believe in and give honour, or you deal with honour lightly, this book will help you to make good choices in what and who you honour in the future. When you honour others and treat them with kindness, it is literally as though you are doing the same for God himself.